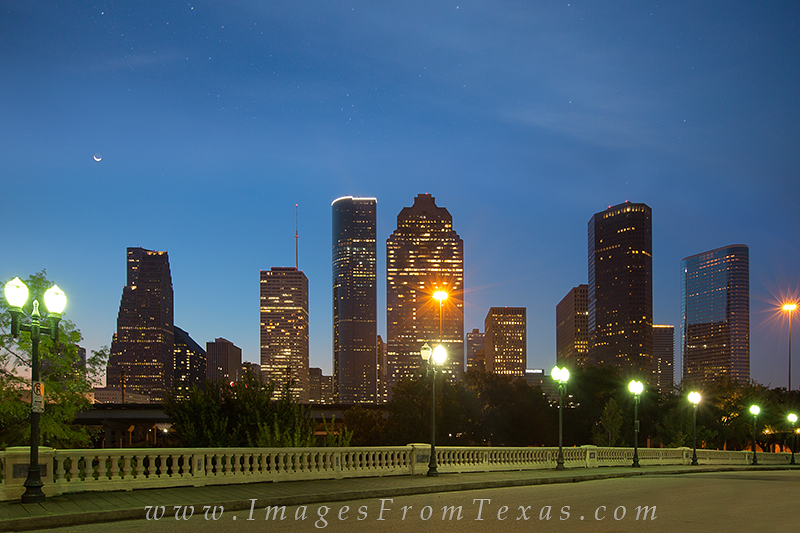 The Sabine Street Bridge is a well known landmark in downtown Houston. Pictured here in the eary morning, it is still lit up from the previous night. A crescent moon rises over the city as sunrise isn't far behind. Photo © copyright by Rob Greebon.